Samoa Joe - Joe is made here with red and black ring shorts, and he has a special growling headscan. This edition of Joe also has a removable shirt and the towel that he wears during his entrance. The figure comes with two sets of interchangeable hands, including the first set of hands with the shaka gesture that Samoa Joe uses whenever he enters the ring. Seth Rollins - Rollins is dedicated to his brief run as the Raw Tag Team Champion earlier this year. He has that same title, and he has special flame ring tights as well. Much like Samoa Joe, Rollins also comes with his own set of changeable hands. John Cena - "The Champ" is decked out in dark blue shorts and gear armbands. 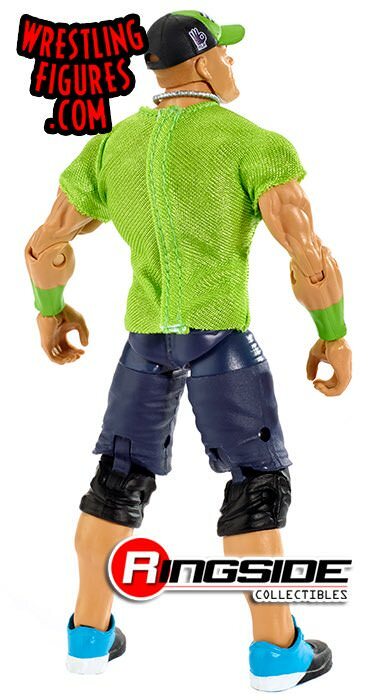 Cena has a removable green shirt and hat, and he also has his signature dog tags as well. 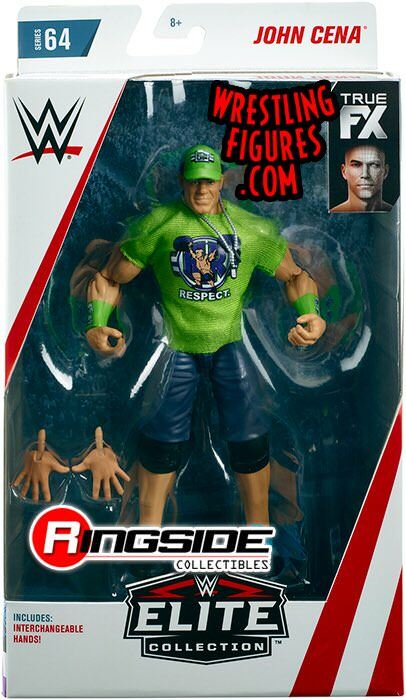 This Cena figure also has a smiling headscan, and two open hands, perfect for recreating his "You Can't See Me" pose. Jimmy Uso - The former SmackDown Tag Team Champion comes with a brand new screaming headscan, and it also has accurate ring gear and complete tattoos. 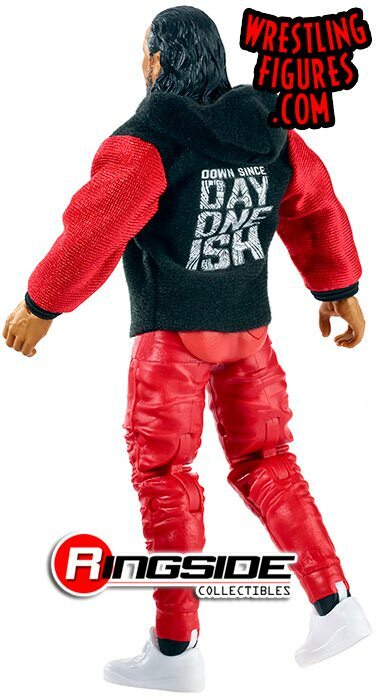 Uso's new figure has a very special "Day One Ish" hoodie as well. Jey Uso - Naturally, Jimmy Uso's brother, Jey, joins this lineup as well. Jey has a sneering headscan, his own removable vest and handkerchief, and totally recreated tattoos. Jey also comes with handcuffs and a kendo stick that he and his brother used in some of their classic battles against The New Day. 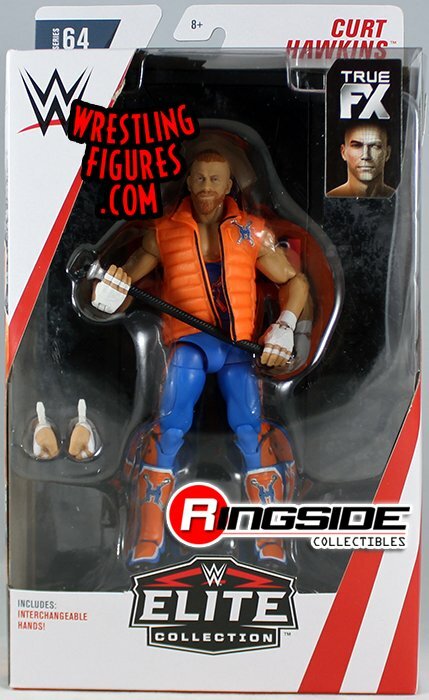 Curt Hawkins - This Raw Superstar and avid action figure collector joins Mattel's Elite line for the first time ever here. 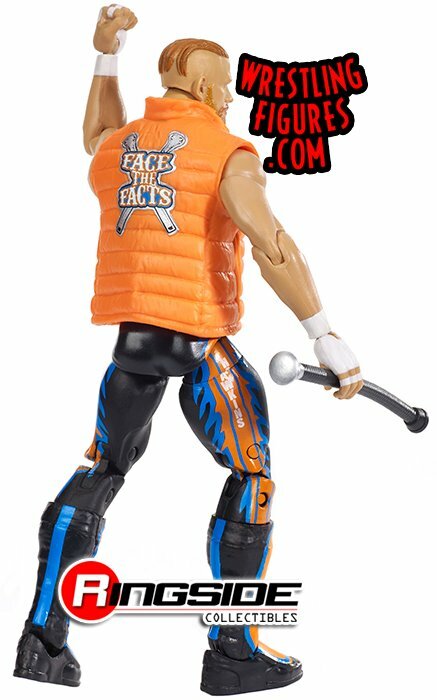 Hawkins has a removable orange vest, and he comes with his cane as well. Additionally, WWE's best loser also comes with a breakable Raw panel. As mentioned, there is a variant version of this figure as well, leaving collectors with the option of getting Hawkins in either blue or black wrestling gear. All six of these action figures can be purchased now at this link. * WWE Mattel Elite 63 Action Figures are Now Available to Order!